What if we all took back Easter and did something completely different this year? What if we decided that Easter was about more than fancy clothes, baskets, and bunnies that lay eggs? What if we all showed up to church on Easter morning in tee shirts supporting orphan care, a cause close to the heart of Jesus? What if we, as one mom put it, decided to “forget the frock”? Forget the Frock is a movement started three years ago by a mom who decided that all of that time and money she was spending on Easter “frocks” for her family could be put to better use. She decided that instead of all the Easter finery, they would don jeans and orphan awareness tee shirts on Easter morning, bringing awareness to a worldwide crisis of children without families. Enter Haiti Lifeline Ministries and the orphanage that our daughter will call home for a few more weeks and an island with thousands upon thousands of orphaned children and I knew we somehow needed to be a part of this. 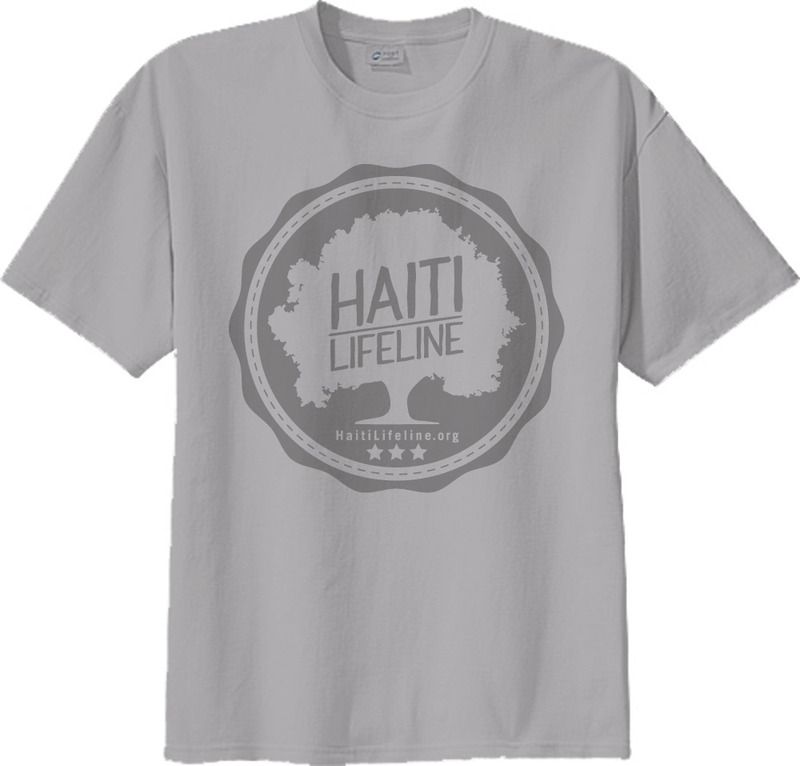 So, in that vein, Haiti Lifeline Ministries has launched a new tee shirt design just in time for Easter. Shirts are just $12 and shipping is available for a small fee. Proceeds from this campaign will be used to do something new and needed within the ministry – an Adoption Fund will be opened to help place children at Lifeline in forever families. Will you consider joining us as we do something different for Easter? Will you join us wearing these great new tee shirts from Haiti Lifeline Ministries and help place orphans in homes? Go here to learn more about Haiti Lifeline Ministries. Go here to place your order and take a stand for orphans this Easter. So thrilled to find your blog and that you are challenging others to “Forget The Frock!” Excited to see God use this for Haiti Lifeline!!! Emily, thank you so much for your encouragement and for stopping by! And thank you for sharing your idea. It’s been so fun to see others get excited about supporting orphans in this way!